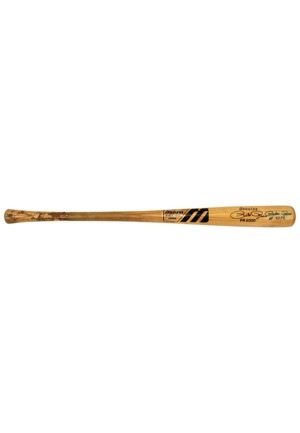 Manufacturer: Mizuno Model Number: PR4000 Length: 32 inches Weight: 30.75 ounces. 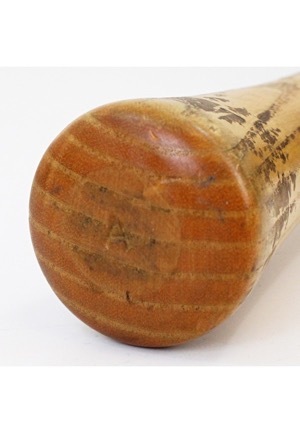 The letter “A” is stamped onto the knob. 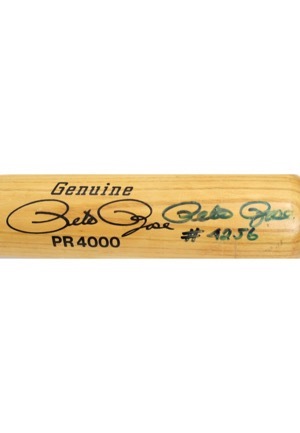 Rose signed the barrel in blue ink with the added inscription “#4256” and in our opinion the signature rates a 7. 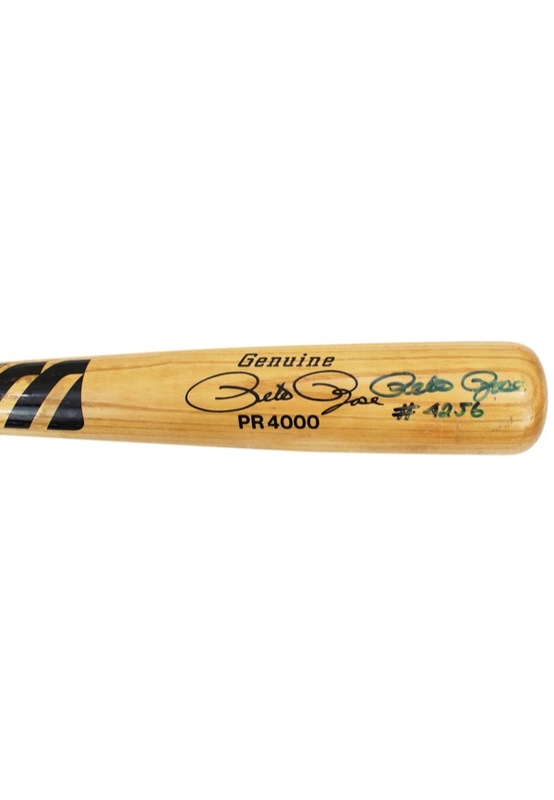 Accompanied by a LOA from JSA and an additional LOA stating that the bat was originally purchased from longtime Rose collector Mike Christopher.